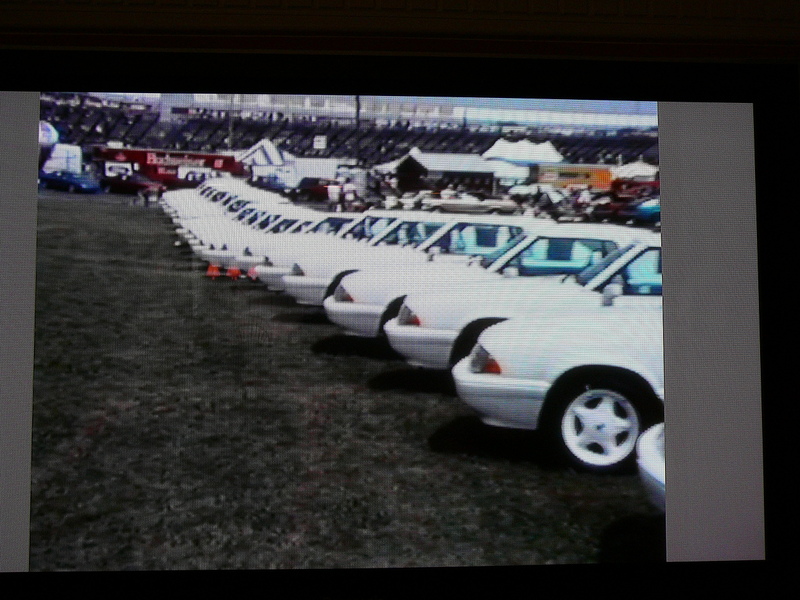 It was back in 2008 when I first learned about a group of triple white feature cars that were displayed at the Ninth Annual Ford Motorsport Nationals held in Maple Grove, PA on June 26 & 27th, 1993. The details of these cars has since been somewhat of a mystery to me. 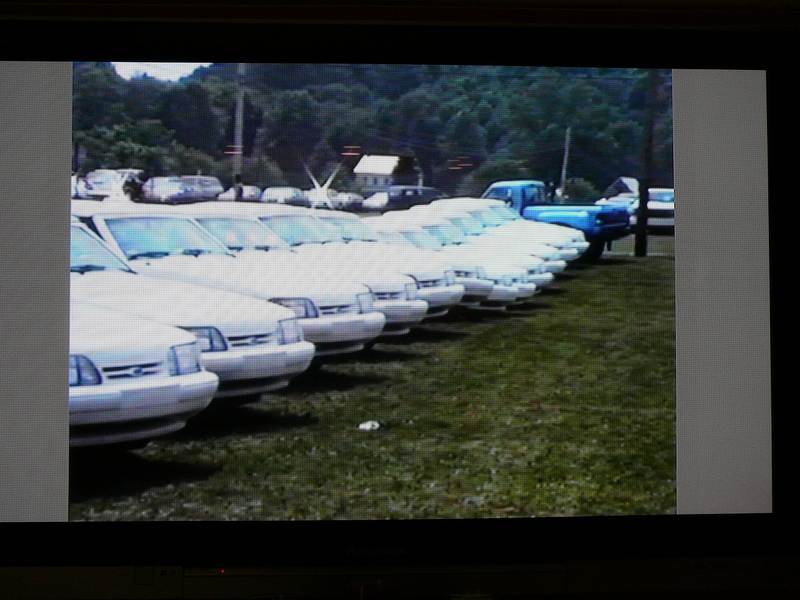 At the time I learned of them, I posted about it in the blog including some screen captures from a VHS recording. It was pretty cool to see the rows of triple whites but the grainy screen caps seem like they were from some ancient, far away place. 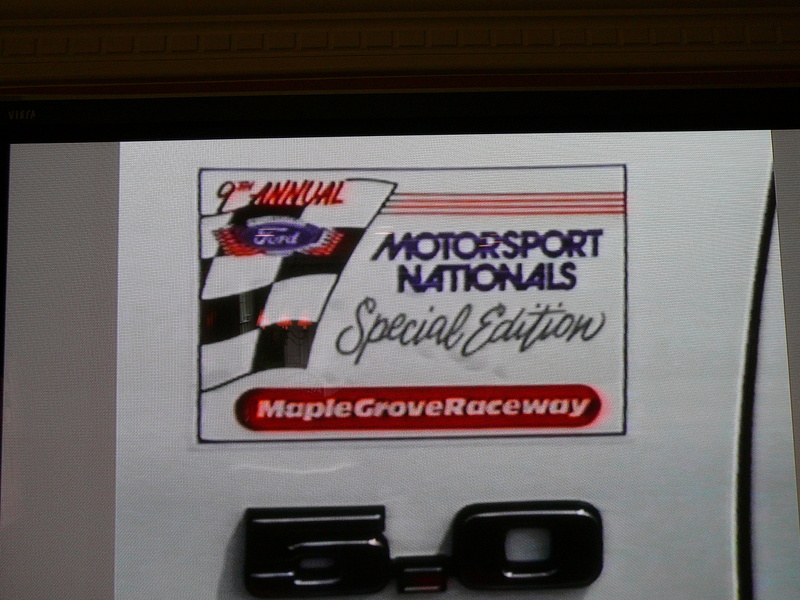 At the Maple Grove event, each car was identified with a decal on the fender. 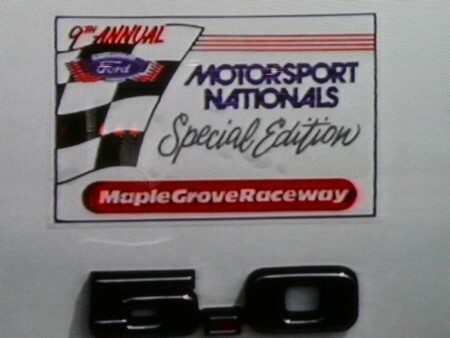 The decals were placed directly above the 5.0. 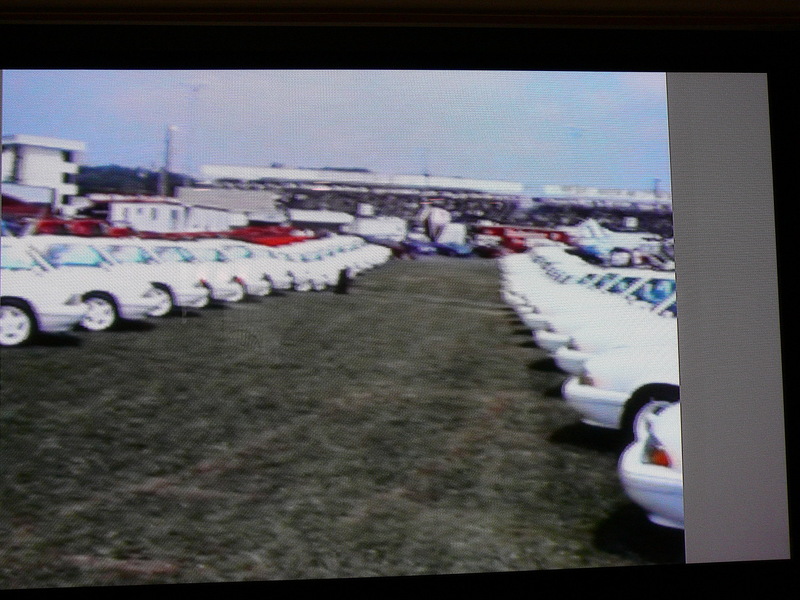 The cars, which numbered above 50, were sold after that event. It's possible that many exist today both with and without their fender decals. This event was not the first time something like this was done. 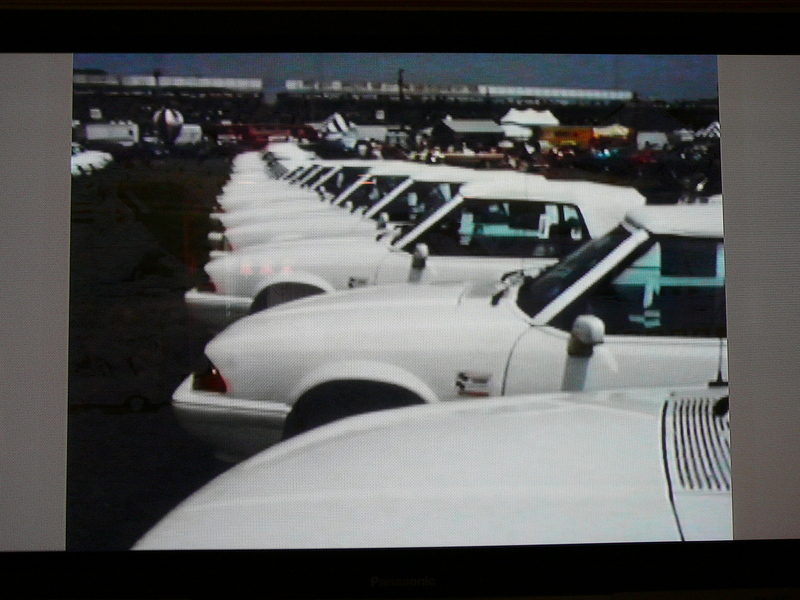 We know from the Mustang Special Editions book by Brad Bowling that in 1987 there was a similar display of cars. I've never really known too much more about these cars and have rarely seen them for sale (auction history: 162663). ﻿But, as time moves on, I learn a little more. Last fall, my buddy Tom purchased one and has helped me learn more about them. 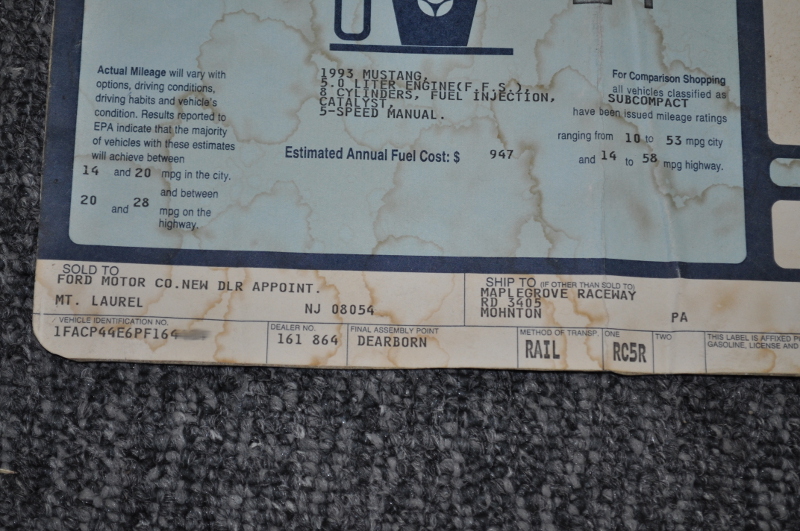 He shared with me that the "cars that were sent there were ordered from the Philadelphia Ford District Offices and were sent via rail directly to Maple Grove Raceway. 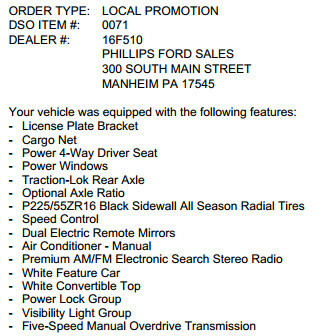 After the Motorsport Nationals, the cars were assigned to dealers in the Philadelphia Ford District for sale." He has also provided more clues useful for identifying them. First off, his car has two window stickers. One seems pretty ordinary but the second identifies the SHIP TO as Maple Grove Raceway. 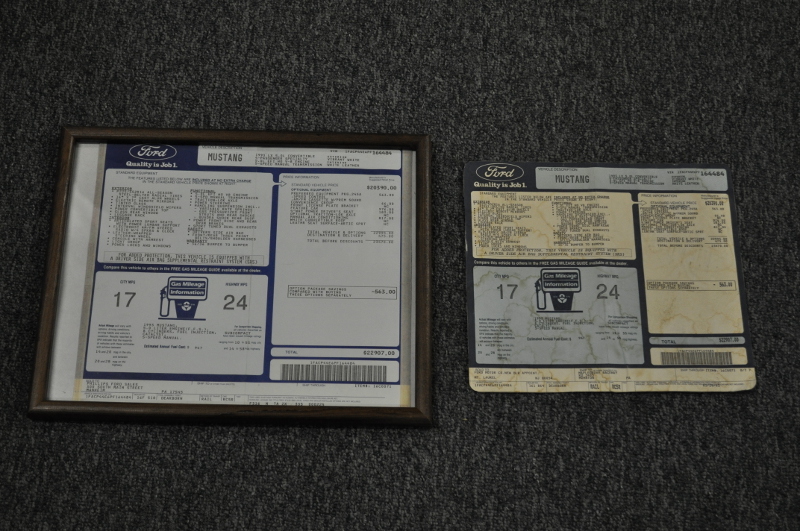 It also contains a different SOLD TO from the other, ordinary sticker. This SOLD TO is not a Ford dealer as unsual seen but is "Ford Motor Co. New Dlr Appoint." The second cool bit of information is the Marti Report for the car. It identifies the ORDER TYPE as LOCAL PROMOTION. 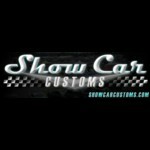 Also of note is that the dealer listed is the same as that on the ordinary window sticker. Maybe some owners have one of these cars and don't even know it. A good place to start identification is with the build date. Most likely, they were all built in April 1993. Also look for the Philadelphia DSO and, if the car doesn't already have a Marti report, get one. It might lead to learning something cool about the car.